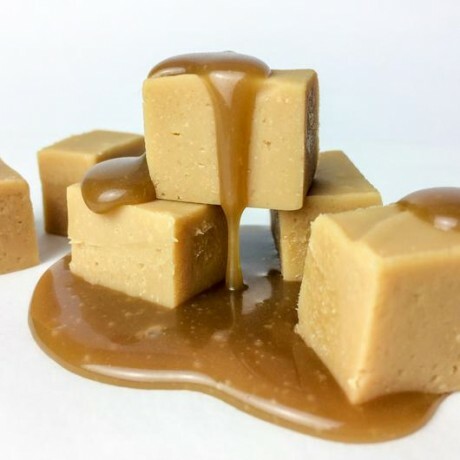 Super smooth and creamy Dulce De Leche (caramel) fudge is made with white chocolate and caramel, so delicious. Because this fudge is chocolate based it makes it extra creamy and full of fudgy flavour. The Dulce De Leche is the closest to resemble that of a traditional fudge flavour. Caramel Condensed milk (whole milk, sugar). White chocolate (sugar, cocoa butter, whole milk powder, cream powder (milk), whey powder (milk), lactose (milk), emulsifier: sunflower lecithins; natural vanilla flavouring).